LAT Tennis Federation in Colombia is now part of Team Genesis. 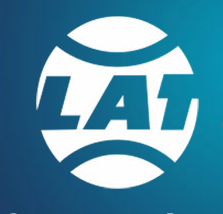 Located in Medellin, Colombia; LAT Tennis is one of the strongest federations in the country. With a strong partnership, Genesis aims to help build Colombia players into world class contenders. The Haiti Tennis Federation is now being sponsored by Genesis. Their Davis Cup team will also be using Genesis strings for the 2011 season.